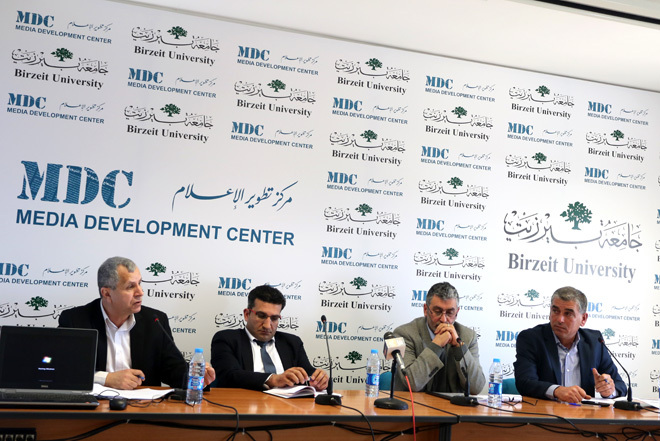 The Birzeit University Media Development Center held on March 18, 2015 a study day to discuss three research papers conducted by the Research and Policies Unit at the center in 2014. Unit coordinator Saleh Masharqah underscored media research as a critical component in the development of media, providing added value to teaching quality and the practice of journalism in Palestine. The research projects are being funded by the Swedish International Development Agency (SIDA).